Elfin Patch: Off we go again 365 Challenge. Off we go again 365 Challenge. Every one must have heard about it by now, it is all over the internet. You make 1 block every day for a year. Yep, 365 3 1/2 inch blocks. 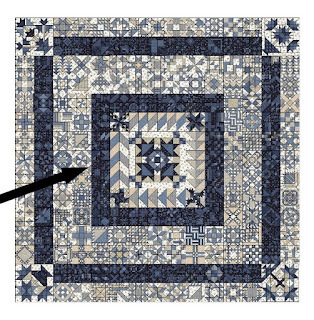 Now that sounded like fun :0) and I did like the the quilt pattern, and yes, I thought I could use up all that taupe and blue fabric in my stash . 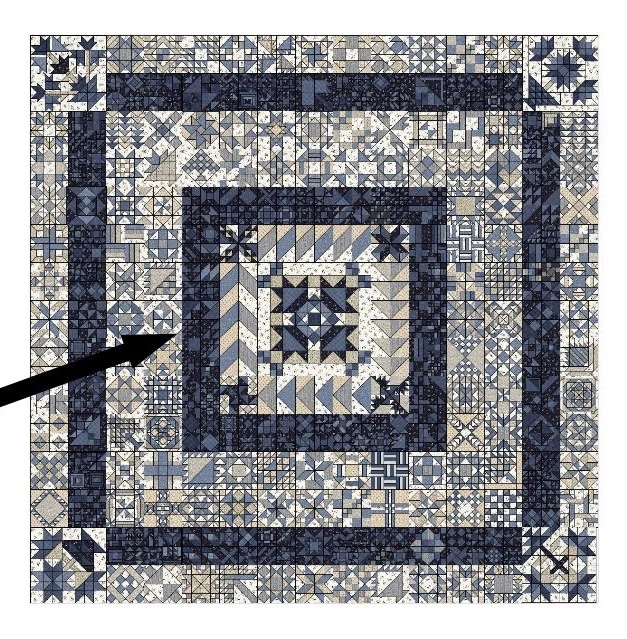 Finished quilt, arrow points to where we are at the moment. 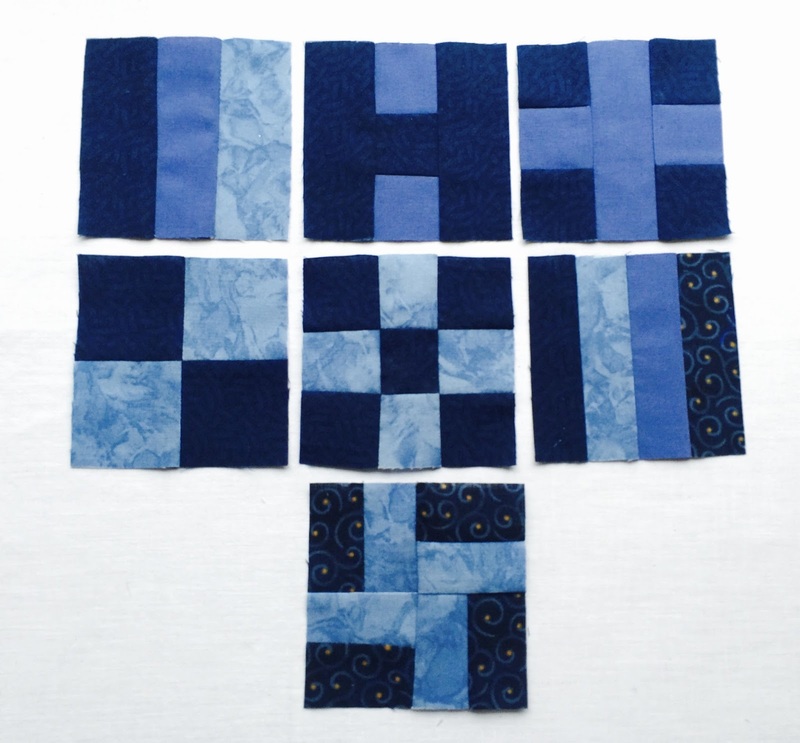 Well, I am not sure how far I shall get, but here are the first seven days of blocks. 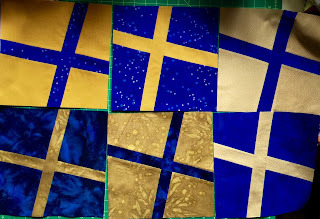 Some of this fabric has been in my stash for years, so I am quite pleased it is finally seeing the light of day. 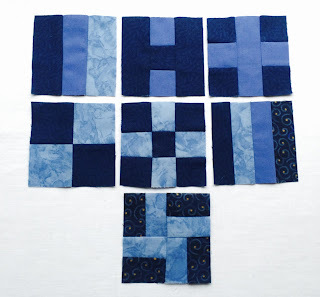 Other than doing the tiny blocks for the 365 Challenge, I did finish the blocks for Sue, who is the mama of the month for the Siblings Together 2 Group. if you want to have a go. Sue would like to make her quilt for a boy, so hence the colours. I think the child who gets this quilt will love it..
Other than doing a little mending, that is all the sewing I have achieved. plus just a little knitting. 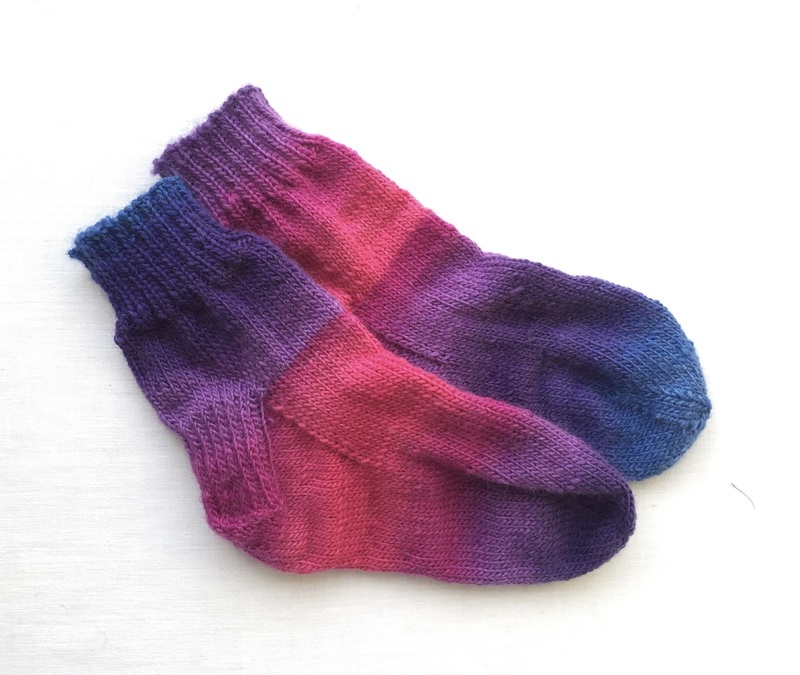 First pair of Socks for 2016. Happy New Year to you too Christine, thank you for your kind comments.. Doti.